Perhaps you're about to start building your email list or you've actually begun already, as this is the topmost recommendation of many Internet marketing experts. After all, there are numerous online entrepreneurs today who can attest to the effectiveness of an email list in boosting any ecommerce venture. But of course, it doesn't end with just the list. 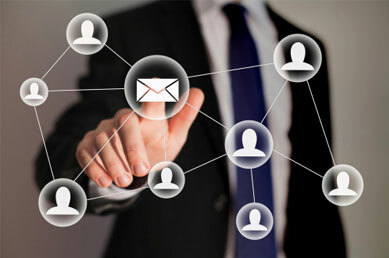 You need to be able to build an ongoing relationship with your email subscribers. It's important to begin your first few emails with short tidbits about yourself and your experience in the niche. If you're running an online store, take the time to introduce your business and emphasize what makes your products stand out. Provide the basics, just as you would introduce yourself when meeting somebody for the first time. 2. Discover what they need and want. Before you even start sending tips and helpful articles, you might want to try and find out first what your subscribers need and want. This way, you'll easily connect with and impact them big time. You can do this through surveys and polls, or simply asking them to email their concerns and interests. 3. Give amazing value and surprises. Don't think of your email subscribers as potential cash or profit. They are people. In order for your business to move forward, you need to establish and maintain a good relationship with these people just as you would with your own family and friends. Thus, you must provide amazing value through your emails--- send practical tips, creative ideas, useful info and the like related to your niche. Show them that you actually care about them. What's more, you ought to throw in a few surprises every now and then such as a free treat, an exclusive offer, or a bonus webinar. These are sure to keep things interesting and exciting so that they'll always look forward to your emails and will want to stay in the list. Yes, you need to stay in touch with your subscribers. Don't just pop into their inboxes every after a month or so. But on the other hand, you shouldn't appear like a spammer either, sending emails every single day or even 2-3 times a day! That's bound to annoy your subscribers and drive them to unsubscribe from your list. Once you've completed the above steps and continuously do steps 3 and 4, remember to also get feedback. It's important to know what your subscribers think of your tips, messages, and offers. Ask for their input every now and then. For example, if you're in the weight loss niche, you might want to ask your subscribers for additional tips on exercises and diet plans they have tried in the past. You can also feature some of those who have successfully achieved their weight goals. Surely such input and interaction will foster a better relationship between you and your subscribers. Follow these 5 simple steps and you'll be able to not just keep growing your email list but keep them too for the long haul. After all, it's better to have loyal customers who'll keep coming back and spreading the word about your business.